International Cricket Council (ICC) World Cup 2019 will be the 12th edition of Cricket World Cup. This tournament is scheduled to be hosted by England and Wales from May 30 to July 14. The first match will be held at The Oval between England and South Africa and the final will be played at Lord's. It is the fifth time that the Cricket World Cup will be held in England and Wales. 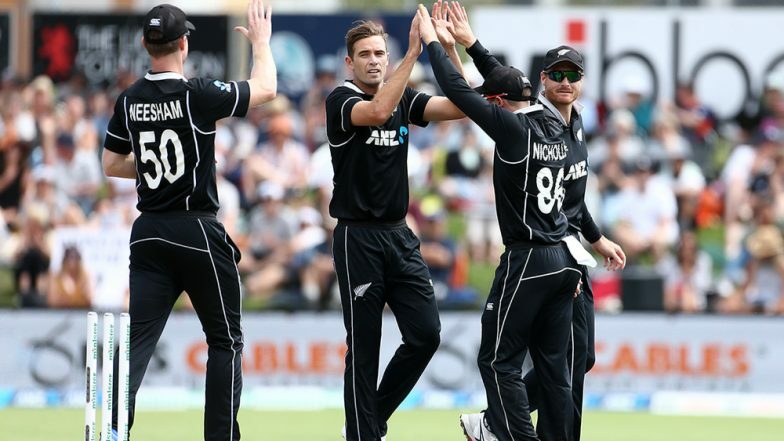 New Zealand (NZ) is the first team to name their 15 man squad for ICC World Cup 2019. Blackcaps selectors chose leg spinner Ish Sodhi over Todd Astle, while uncapped player Tom Blundell gets the opportunity to play in the World Cup. ICC Cricket World Cup 2019 Schedule in PDF: Ticket Prices, Dates, Venue Details & Timetable Available for Download Online. Kane Williamson will continue to lead the Blackcaps. Ross Taylor is also added in the squad which makes him the 7th New Zealand cricketer to feature in four World Cup tournament. While the skipper Williamson, Tim Southee and Martin Guptill will be playing the tournament for the third time. New Zealand had a good recent ODI series against Bangladesh, where they won the series 3-0. New Zealand coach Garry Stead said in a press conference that they had to take tough calls in the selection process but at the end, he feels that they have a well-balanced side. Ish Sodhi is chosen over Todd Astle, as the selection committee thought that Sodhi is more experienced. The name in the above list which has surprised all of us is Tom Blundell, who has not yet made a debut in ODI. Blundell is chosen as a wicket-keeper batsman as their regular gloveman Tim Seifert has not been included in the squad due to a broken finger. Tom Latham inclusion in the side is as a backup wicket-keeper. Tom Blundell has played 40 ODIs in domestic cricket, where he averages 23.81 with three half-centuries.